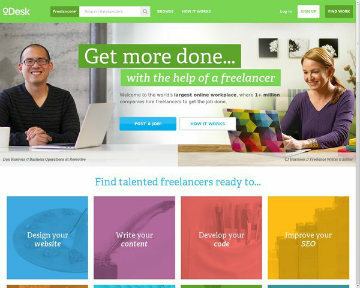 Getting Freelancing Work on the Internet : 15 Best Freelance Websites for online professionals. As i said earlier, we will publish more useful sites for people who want to earn online working as part time or full time. This is the next post in the series of good websites to make money online. (read earlier post: 10 best Gig based Micro freelance websites ) And this is a very special blog post regarding a very big online space for making money professionally : Freelancing websites and big platforms. Freelance websites are used by several thousands of freelancers all around the world to make money online through offering their freelance services in any field/ sector/ niche. Working as a freelancer is a great way to make money online without any trouble as you get regular work and there is 100% money security for your completed assignments/ projects/ work/ task as the the freelancing platforms act as a mediator and they take money in advance for your work from your online employers. Many people want to learn how they can work from home. There are some easy ways that you can follow, so you can make online money in a professional way. 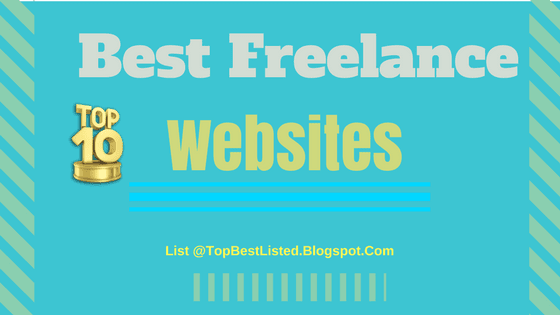 We have listed the top 10 freelancing websites in every level. As per your knowledge or skill sets you can get freelance online jobs even if you are just a starter. So, if you were looking for a few good freelance websites, try the below given webs even if you didn't hear about them earlier. These freelance websites have great work opportunities for anyone looking for earning a significant online income while working from their homes. If you have certain skills, you may want to take a look at these top websites in their niches. Here are the best freelance websites for the freelancers in mainstream skill categories prevalent on the Internet as mentioned in the starting of this blog post. Go, visit them, learn about their working system, and start earning online money significantly from the comfort of your home using your own Internet connection. It is one of the biggest freelance sites in the world today. Millions of online users have put a lot of faith in their system/platform. Elance has more than 1.5 million active members on their platform. You can get a lot of work opportunities from this freelance website. You can find thousands of job opportunities that are available in this website. You can choose the best category that is suitable for your skills and knowledge. It has lots of categories for online works and projects. oDesk is standing today at a place where it can enjoy their reputation and trust from online freelancers around the world. They have huge list of projects from various fields and sectors. Employers post their jobs seriously on their and they get full satisfaction due to their reliable platform/ system and a big brigade of quality freelancers. A majority of freelance workers at oDesk are well established and they don't work anywhere else as they get good volumes of well paying short time as well as long term projects from their faithful employers. As per my view, oDesk is the number 2 recommended freelance site that you should join to get quality online jobs. 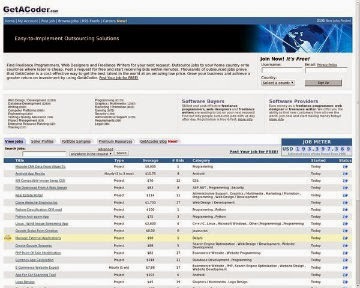 There are more than 100,000 jobs posted on oDesk monthly. You can even take some tests for improving your qualification in this site. There are a lot of work from home job opportunities that you can take as per your skills and experience. oDesk has projects and tasks for more than 50 main skills in the popular work categories for online freelancing works. This is considered to be the number 1 marketplace for graphic designing, logo designing, web designing, and other designing related contests on the web. 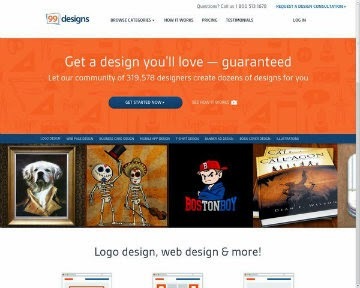 There are more than 3,00, 000 registered freelance designers at 99Designs. If you love making some arts or designs, you should visit and join this website. It is a great graphic design marketplace that is available on the Internet today. There are a lot of contests that are created by some employers. You can join some of these contests for making money online easily. Designers join 99Designs to earn online. This is a great site for most SEO experts, advertisers, bloggers, content writers, these days. There are a lot of jobs that are related with the search engine optimization (SEO), online advertising, Internet marketing, Wordpress, content writing work, blogging, article directories, forum posts, data entry jobs, and several other types of online work. The site is great for anyone with any kind of skills. You can sell, resell, or offer any kind of services at SEOClerks. Freelancers are selling or offering their services ranging from $1 to $200. Once you get established at this network you can start making thousands dollars on monthly basis. The people who hire you give you positive rating and scores and based on that you could move up the ladder to become a well established and highly rated freelancer at SEOClerks. So, If you are familiar with anything related to SEO, content, marketing, advertising, data entry campaigns, you should join other professional freelancers in this freelancing website. This freelancer website is great for entry level or high end professional equally. Fiverr was the front runner in the concept of online Gigs. It got popularity with its gigs for anything and everything on a fixed price of $5. So, the website got famous with their small freelance projects in such a low price of five dollars. Small level advertisers, webmasters, marketers, and businesses started showing some real interest on the freelance services being offered by their sellers. The site displays kind of premade services and tasks. But, still, anyone can place their specific requirements on the site and the related freelancers will be notified for the assignment. In this way employers can offer more than five dollars for a project. Freelancer sellers at Fiverr can offer extra services along with their typical $5 dollar gigs. In this way you may end up earning much more than $5 per Gig. Today peoples from every walks of life visit this site for their small requirements. The freelance website is suitable for all kind of freelancers who want to offer their services in just $5 dollars. Everything is offered at $5. You can promote your offers to your potential customers easily. It is very simple to use Fiverr for earning online money easily. 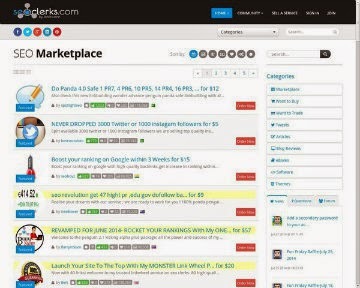 This is one of the oldest and most popular freelancer websites on the Internet today. You can complete many different jobs in this site, for example article writing, logo design, web design, data entry, surveys, and many other activities. There are a lot of employers who post their job opportunities in this site. The site is an internationally used freelance platform by small and mid level businesses to cut their work costs. Lots of small companies outsource their work to Freelance. In the same fashion there are many of companies which bid on their projects. The portal is a big hub place for a vast range of freelancers, advertisers, marketers, businesses, designers, developers, webmasters, affiliates, content writers, publishers, site owners. SEO, etc. GetAcoder is one of the best recommended freelancer platform-network for all programmers and coders from around the world. If you are familiar with some coding systems or programs, you should join this freelance website. Many people want to outsource their programming and designing related jobs to this site. It can be a great opportunity for you to meet other employers in this freelance website. Register yourself as a freelance coder and programmer at GetACoder. There are a lot of job opportunities that are available in this site. You can select the best categories that are suitable for your skills. There are some categories that are available in Project4Hire site, for example website design, writing, translation, audio editing, video production, hardware support, and many other categories. Many freelancers want to join this site because it has a lot of great opportunities for logo makers and graphic designers. It is one of the best freelancing websites for web designers today. 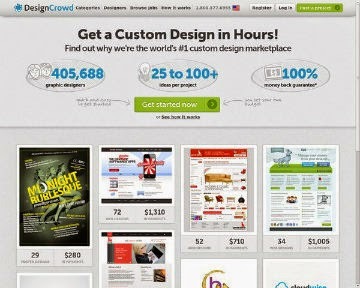 This is another great freelancing site that is good for all designers. There are a lot of graphic designers who are happy with the service from this site. If you are familiar with logo designing, website design, mobile app production, and some other creative ideas, you should start your application in DesignCrowd. It is believed to be the best marketplace for finding some logos, website designs, graphic designs, and some other creative arts. If you love creating some beautiful designs for your clients, you should join this site. This website is available for all designers from around the world. This site works similarly as the other freelancing websites. You should be able to find a lot of jobs within many different categories, including Web Design, Blog, Data entry, Article Writing, Logo Design, WordPress, Graphic Design, Java, Excel, eCommerce production, SQL database maintenance, and some other jobs. If you want to make online money easily, you should take a look at this website. It is one of the best freelancing websites on the Internet today. You can meet a lot of job opportunities that are available in many different categories, including design, software development, mobile app production, sales, online marketing, social media sites, video production, writing, translation, and some other services. This is another popular site for most freelancers today. This online marketplace offers a lot of great opportunities for many people these days. You can find a lot of types of jobs that are available in this site, including admin support, engineering, fashion, data entry, graphic design, marketing, telephone system, programming, and many other areas. 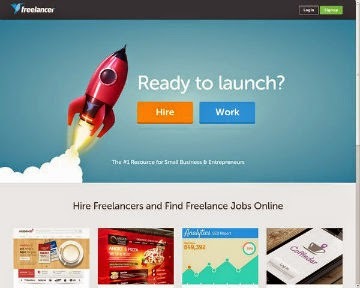 This site is a combination of FreelanceSwitch, Envato Studio, and also Tuts+. 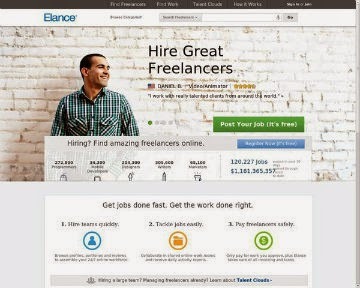 This freelancing site is very popular among many employers today. You can submit your works to this site, especially if you want to earn significant money from this site. This site is recommended for all designers who want to offer their designing services for all clients. If you have a lot of experience in designing logo or website, you can join this site today. A Tip, though not so Hot: - You can browse a freelance website as per the 'work skill sets' and see whether your skills match to any of the mentioned skills. If you don't find a skill as per your choice then chances are that that website does not have much freelance work in that category. How to get more work at freelancing websites? Make your work profile as detailed and as effective as possible. This is the feature that helps you get assignments in your earlier days, later on only the quality in your work matters.